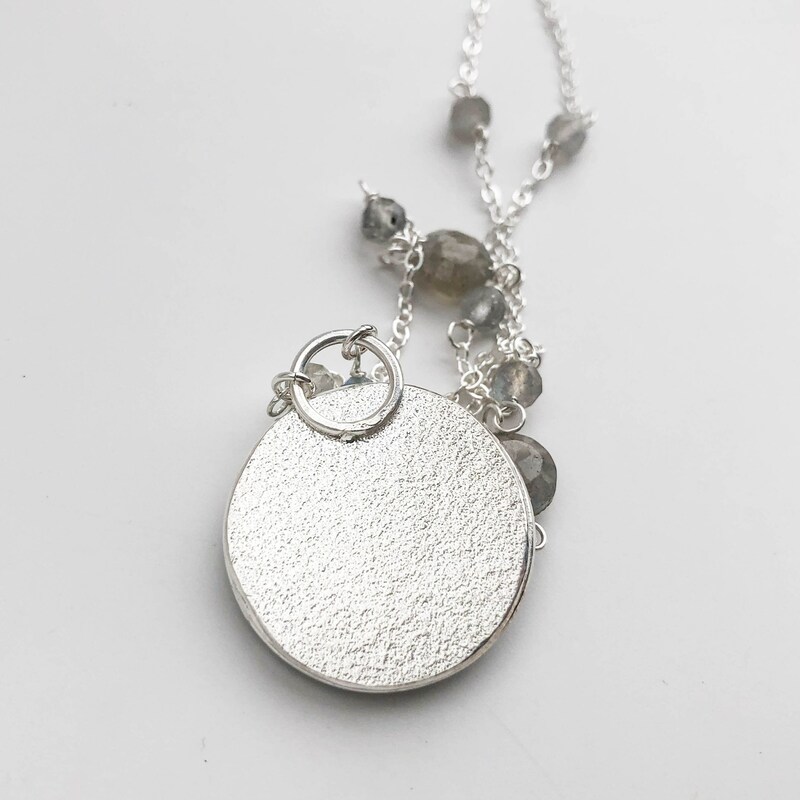 * Sterling silver chain is adjustable in length from 16"-18" with a lobster claw clasp. 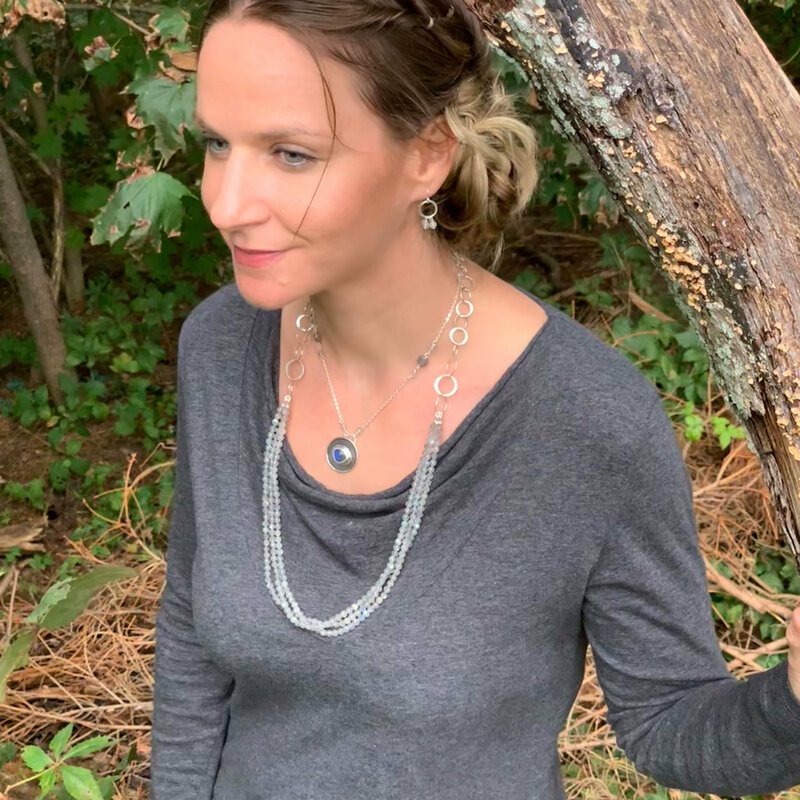 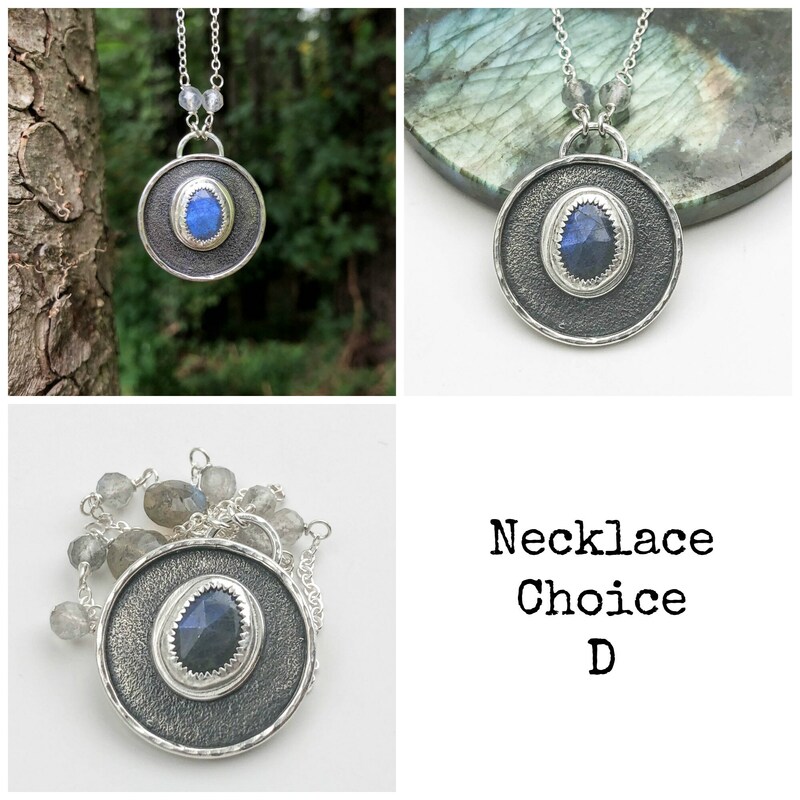 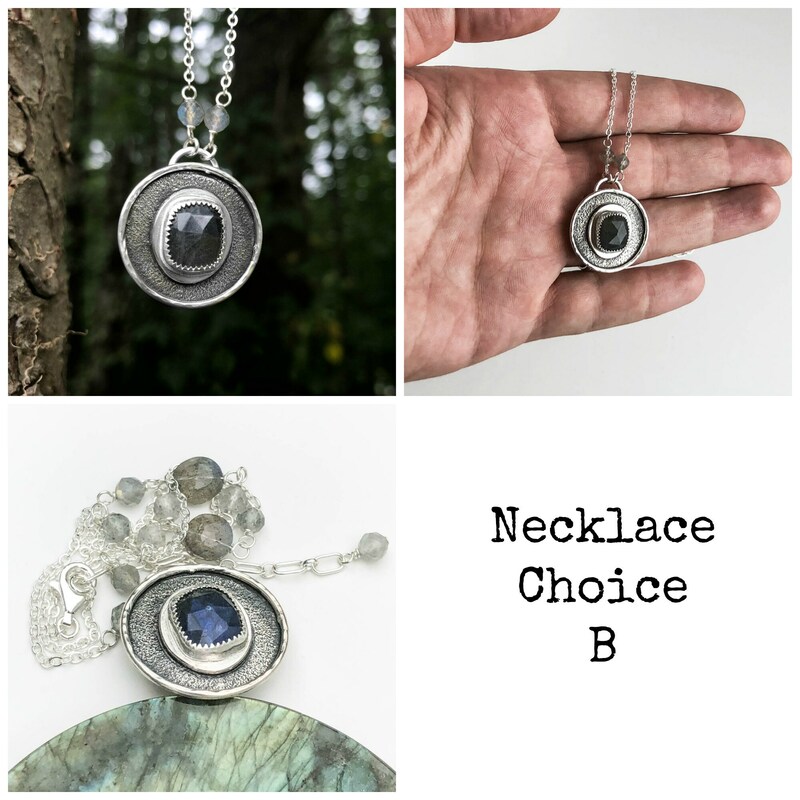 This unique pendant necklace was handmade with natural rose cut labradorite gemstones and solid sterling silver. 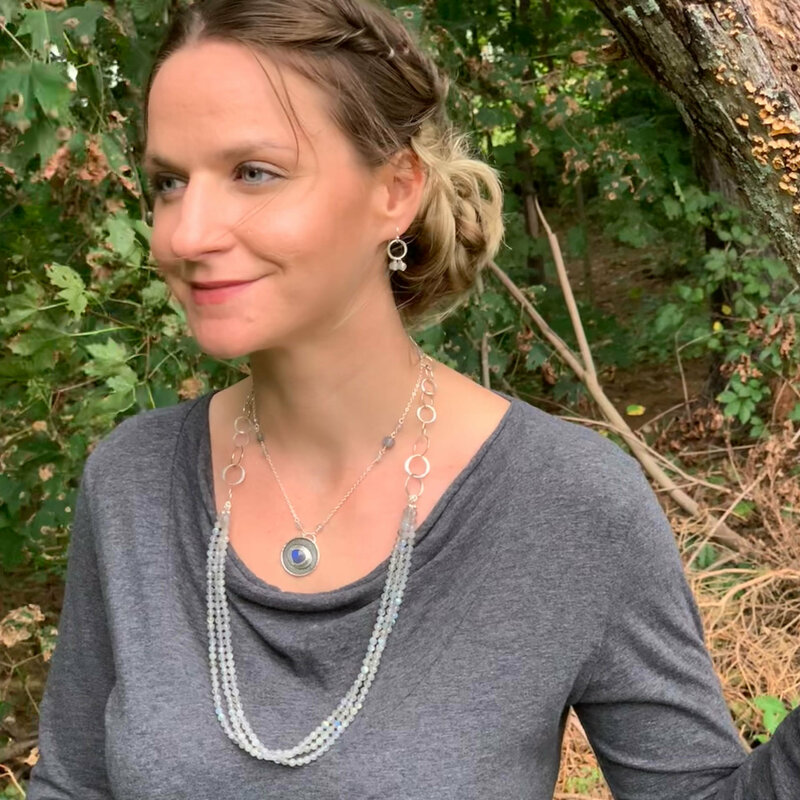 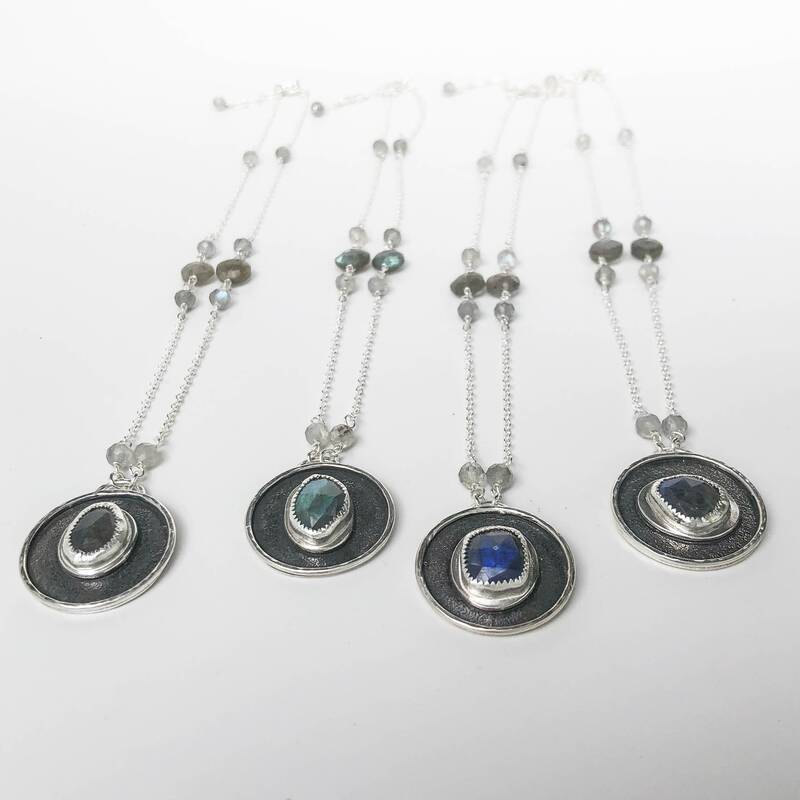 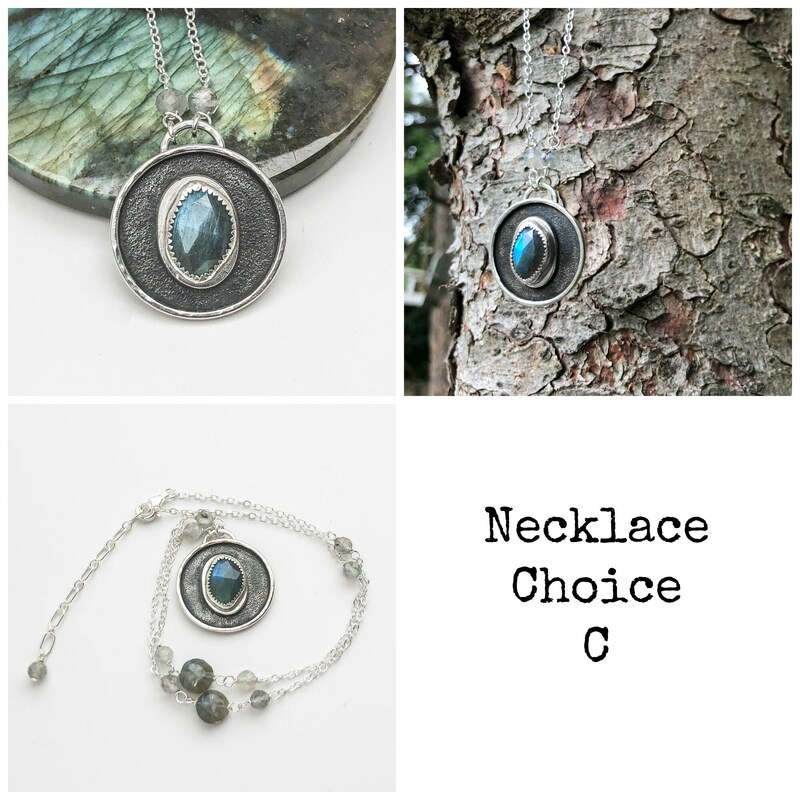 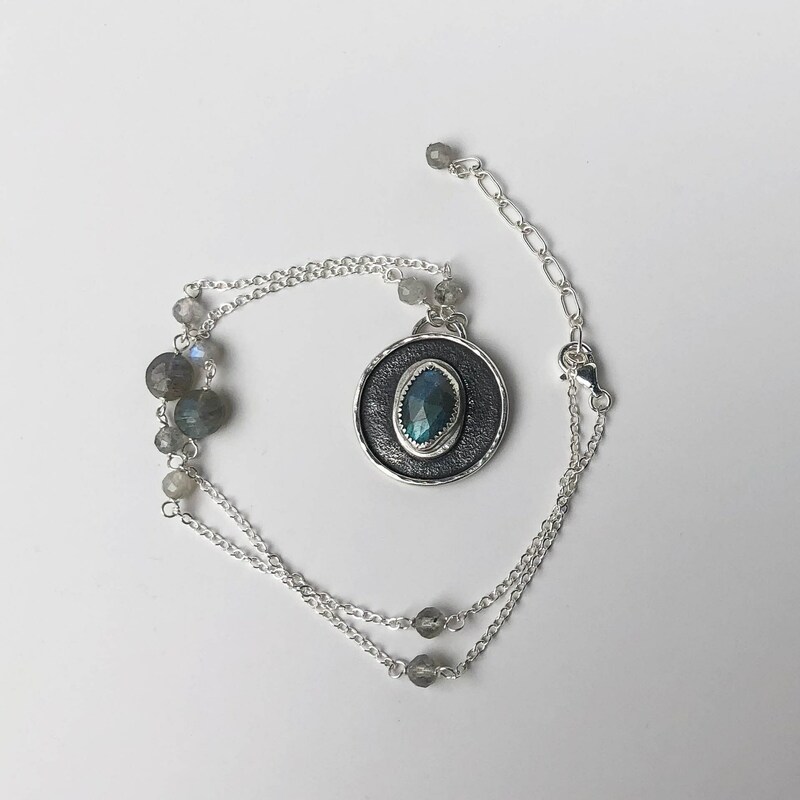 Custom bezel settings were created for each stone and they are soldered down onto beautifully textured and oxidized sterling silver discs with hand hammered frames. 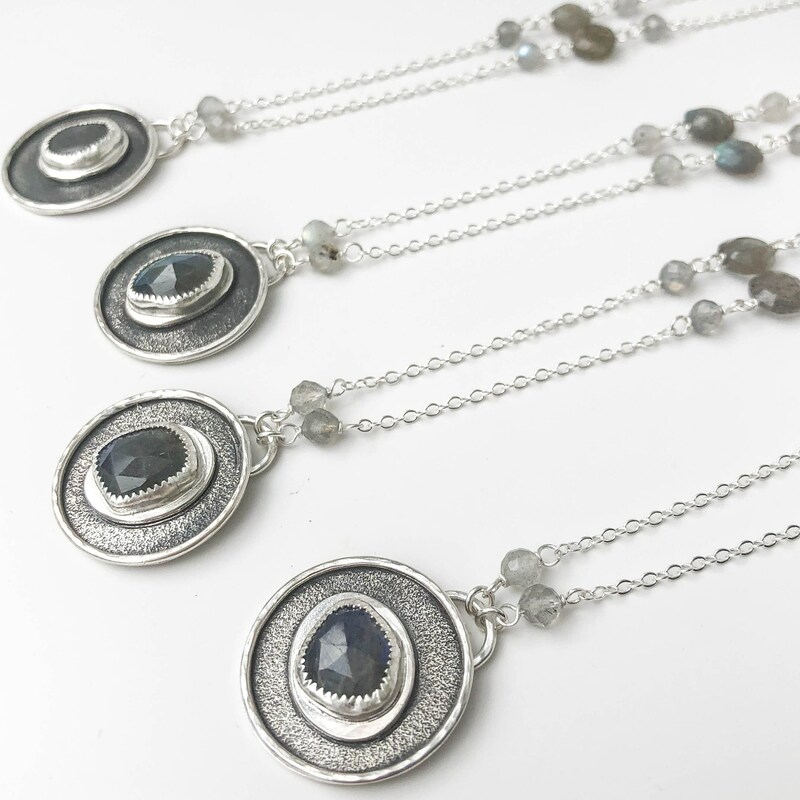 The chain is a delicate sterling silver flat cable link that has labradorite stones going up the sides. 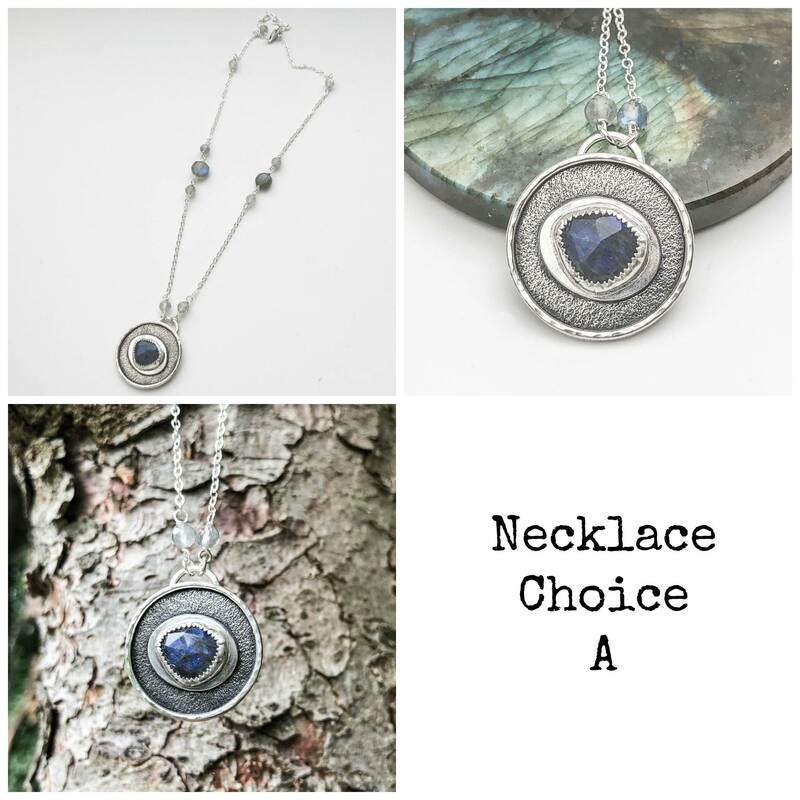 The necklace is adjustable from 16"-18" with a lobster claw clasp and built in 2" extender.